Personal Expenses Like Tip Or Facilities Not Mentioned Above. Start from Jaipur and reach Sariska. 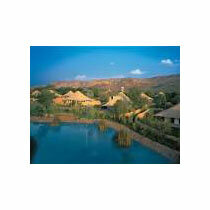 Check in at Hotel and after rest take a safari of Sariska National Tiger Reserve. If you are passionate about photography then it's a great opportunity for you to capture many beautiful and rare species of birds and animals.Over Night stay at hotel. Early morning after breakfast start for Bharatpur and after check in to Hotel visit the Lohagarh Fort at Bharatpur. Local market is a major attraction. Don't miss to feed your taste buds with delicious chaat. Later evening transfer back to Hotel. Early morning take a Tour of Keoladevi National Park to see the migratory and some real amazing species of birds. After safari back to Hotel, take breakfast and after some rest if interested take evening safari as well as there are many birds which come in groups in evening only or else visit other monuments at Bharatpur. late evening transferred back to hotel. Take the morning Safari and may be you could see the Tiger, even if Tigers are not seen then don't be disappointed because you will for sure see so many wild animals like wild boar, deers, crocodiles and many rarest birds. Also visit the Jhoomar Bawdi which is a beautiful artificial lake. Later evening check in to hotel. After breakfast check out from hotel and start for Jaipur the Pink City. Rest of time as per your demand. Later transferred to Airport or Railway station towards you home with sweet and adventurous memories of Wild Rajasthan. Tour Ends.